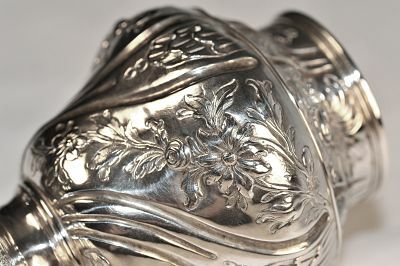 the inverted pear shaped bodies decorated with asymmetrical floral panels. 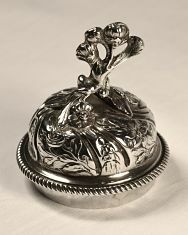 raised on circular domed feet and each domed cover with pierced flower head and leaf finial. 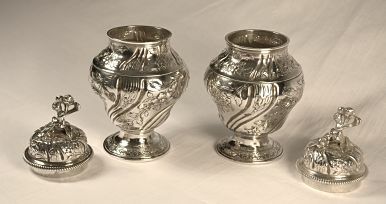 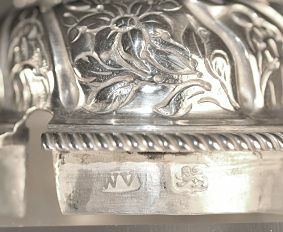 Each have a full set of hallmarks to the base and the maker's mark and lion passant is also displayed on the rim of the lids. 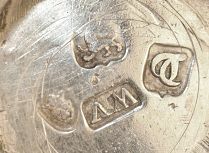 The maker's mark is partially obscured on one lid. 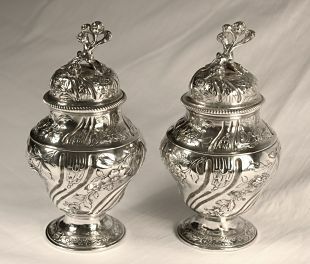 A beautiful and rare pair of caddies.